The Supreme Court is ending its term with a number of cliffhangers. Monday was the official last day on the Supreme Court's calendar. Three of the most-watched cases – Trump’s travel ban, the Janus labor union case and a case around abortion clinics – are expected to be decided by the end of the week. This term saw a number of hot-button cases including multiple cases of partisan gerrymandering, voting rights, internet sales tax, warrants to track cell phones and gay rights. Does the president have the legal authority to ban travelers from a number of majority-Muslim countries? Mark Janus sued because he did not want to pay “fair share” fees to the union. Monday the court ruled in the Texas case that only one congressional district was racially gerrymandered. The justices sent the case back to the lower court. The court did not make a ruling because the challengers to the map waited too long to seek an injunction blocking the district. The North Carolina case was bumped back down to the lower court. The court ruled that the government needs a warrant to collect cell phone data. 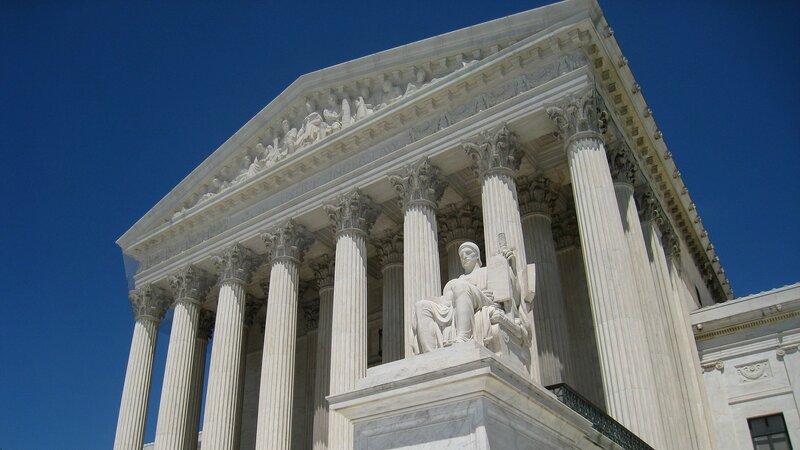 The justices ruled that states can collect sales taxes for online purchases. Ruth Bader Ginsburg joined her conservative colleagues in the decision. The court declined to hear the case until the lower court considers Masterpiece ruling. The justices ruled in for a Denver baker who refused to make a wedding cake for a gay couple. • The court ruled that Ohio could purge voter rolls. David Franklin, who clerked for Justice Ruth Bader Ginsburg from 1999 to 2000. He teaches constitutional law at the DePaul University College of Law and is serving as the Illinois solicitor general. Carolyn Shapiro, who clerked for Justice Stephen Breyer in 1996 and 1997. She is an associate professor of law at IIT's Chicago-Kent College of Law where she is also the co-director of the Institute on the Supreme Court of the United States. Adam Mortara, who clerked for Justice Clarence Thomas from 2002 to 2003. He is now in private practice at the firm, Bartlit Beck Herman Palenchar & Scott.